It is with deep sadness that we are informing you the death of Smt. Puspa Rani Das. She passed away in her sleep on Monday (08/31/15) in Torrance, California. 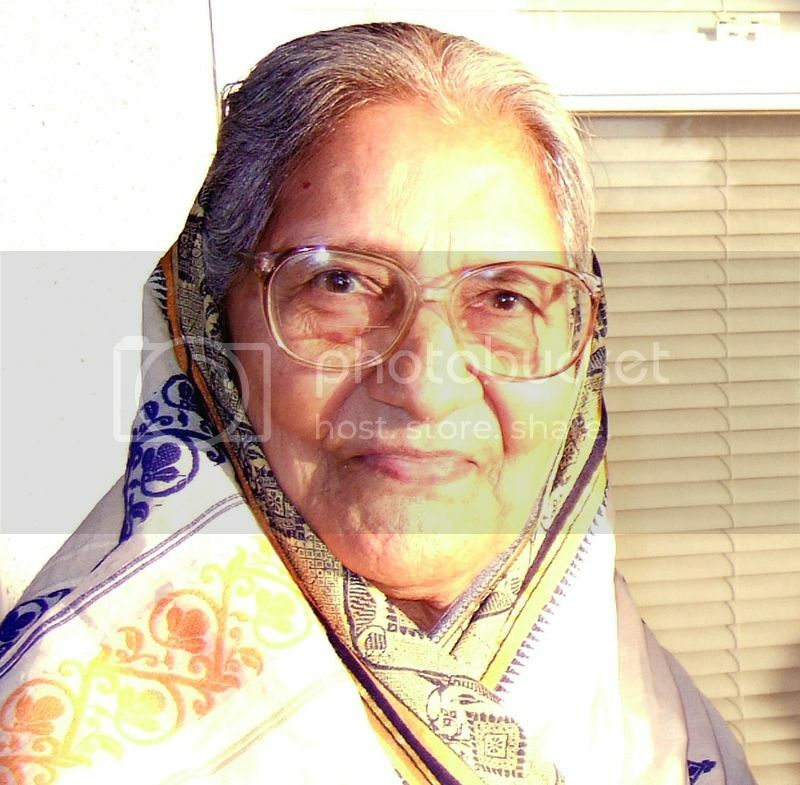 She leaves behind five sons (Mahitosh, Paritosh, Santosh, Manatosh and Priyatosh (Samar)), four daughters (Pratima Podder, Anjali Saha, Alpana Hazari and Kalpana Datta), their spouses, seventeen grand children and eight great grand children. She also left behind a lots of friends and well-wishers since she had been living in Torrance for almost 28 years. She was 93 years old.